Washington Wizards Fan Happy Hour: Welcome To Happy Hour! 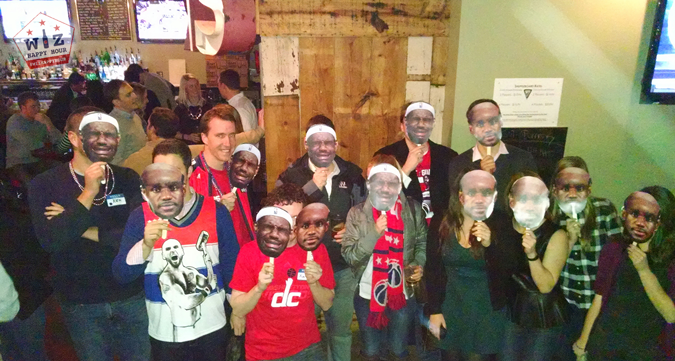 I want to welcome you all to the Wizards Fan Happy Hour Group. This is a fan run group (not affiliated with the Washington Wizards team). 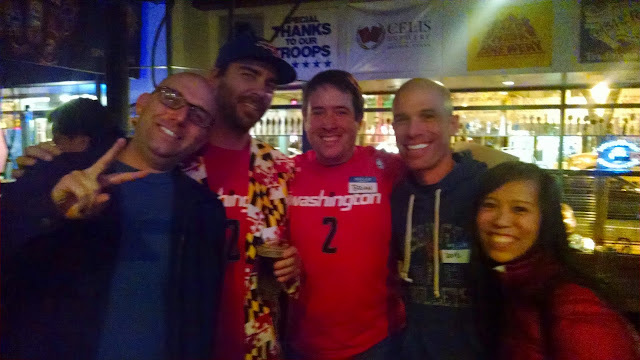 All season long we will be enjoying happy hour, exploring DC bars, and talking and watching Washington Wizards basketball. This group is new for 2014 and will be developing on the fly to meet what the fans are looking for. Becoming a member is as simple as taking 3 minutes to sign up for MeetUp and that will keep you up to date on all future events before everyone else as well as access to all member only events. 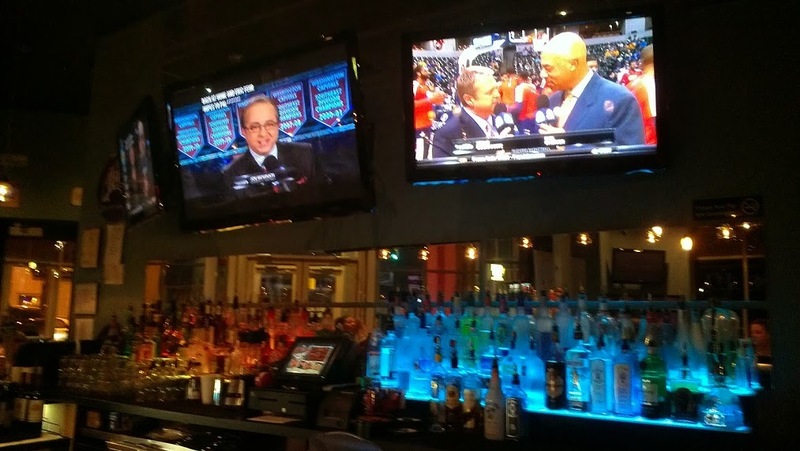 Our rotating pregame happy hours will take place before most Washington Wizards home games. The idea is to explore all of the bars and restaurants that are walkable to the Verizon Center. By rotating venues in the Chinatown & Penn Quarter areas, members will get a chance to experience different establishments around the arena, enjoy different Happy Hour promotions and specials, and to meet up and talk basketball with like minded Wizards fans before they head into their seats. Social Happy Hours: The social happy hours take place on weeknights and last about 45 minutes to an hour (start 1 hour before tip-0ff). These are more of a quick social meetup for a drink or 2 before watching some basketball. Nothing too crazy but a great way to meet people and other season ticket holders. Amped Up Happy Hours: The amped up happy hours are mostly on weekends or before big games. These are more "special" 2 hour events where we may focus a little more on the happy hour aspect of the night. We are hoping to have special guests and prizes for these events. And we want all your friends to come and see how much fun it can be to hang out in Chinatown. If you would like to see us hit up a specific venue or have connections with a local establishment that would like to host us, contact us. [dcsportshh at gmail]. 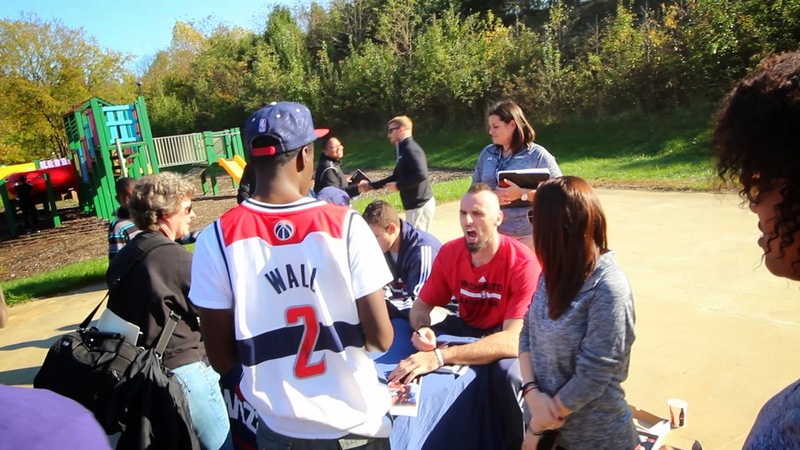 We know that Washington Wizards fans come from all over DC, MD, and VA. That is why we want to meet up in different area hot spots and neighborhoods of the DMV to watch our Wiz while they are on the road. Classic Watch Party: The classic watch party will take place at a local bar that provides us with the ability to watch the game, preferably with the sound on. We are hoping to get special guests, prizes, and drink and/or food specials. 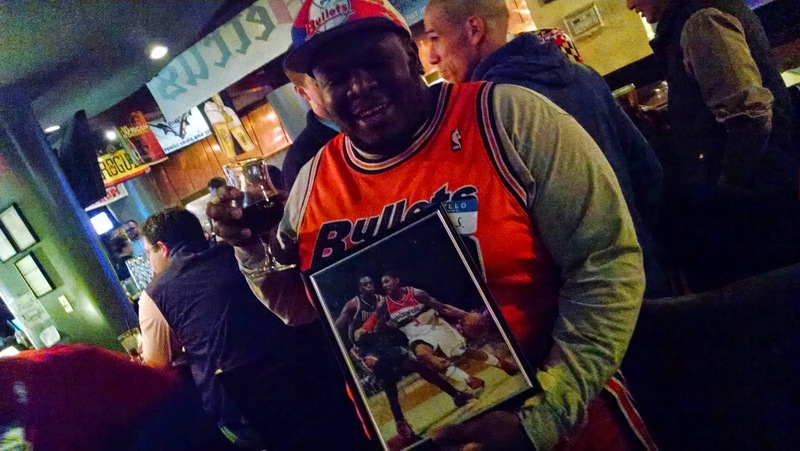 Bar Basketball Bar Crawls: Our never been done before bar crawls will take Wizards fans to 4 different nearby establishments, for each quarter of an away game with special scoring and prizes. Think bar golf turned into bar basketball. If you want to bring a watch party to your area, if you have connections with a local establishment, or if you work for an establishment (that has TVs and will put the game sound on) contact us [dcsportshh at gmail]. For those members who are season ticket holders, we will have the opportunity to meet up and different team run season ticket holder events and happy hours that are part of our ticket holder benefits. We want to thank everyone who has joined this fun group of Washington Wizards fans. If you have any feedback or ideas don't be afraid to contact us [dcsportshh at gmail] and let us know. Be sure to invite all your friends to join the official group, and to also like us on Facebook and follow us on Twitter. Thanks and see you soon!